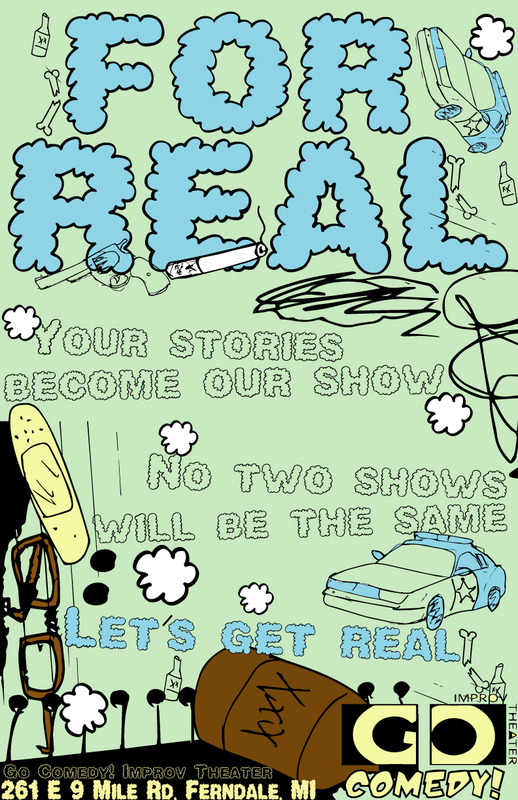 “For Real” asks the audience to volunteer true stories based on each show’s special theme Then the cast uses the stories as inspiration for an improvised set. No two shows are the same. If you have a story you’d like to tell, sign up when you get here.